Aside from Duran Duran, Culture Club was undoubtedly the most popular U.K. band in America to have come from the Second British Invasion during the early ’80s. Certainly a huge part of that popularity has to do with the flamboyant and quotable Boy George, whose fashion style and androgynous image made him a celebrity and captivated the country. But besides that, the quartet of Boy George, Roy Hay, Mikey Craig and Jon Moss delivered a slew of really catchy hit singles between 1983 and 1986 that were staples on American pop radio, along with some of the most innovative and eye-catching videos of the MTV era. Unfortunately that spectacular run ended in 1987 when Culture Club disbanded, with Boy George going solo, most notably with his 1993 comeback hit “The Crying Game.” Now almost 20 year since its last reunion, Culture Club has regrouped for a new tour and album. 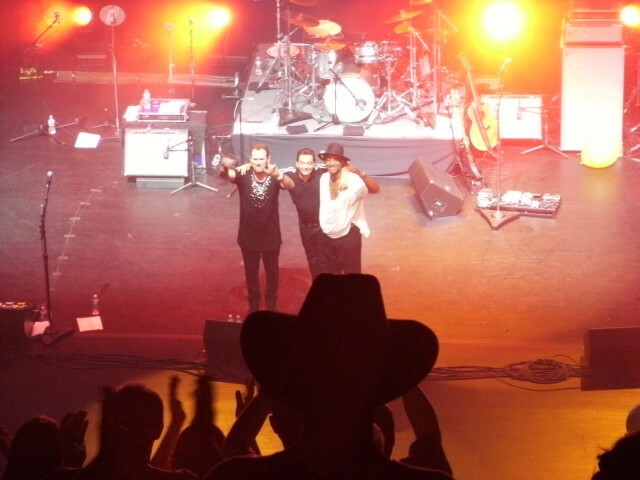 And if the two-night stand at New York’s Beacon Theatre was indication, the group remains beloved by its fans, who have grown older with the band members but no less enthusiastic about Culture Club’s music over 30 years later. 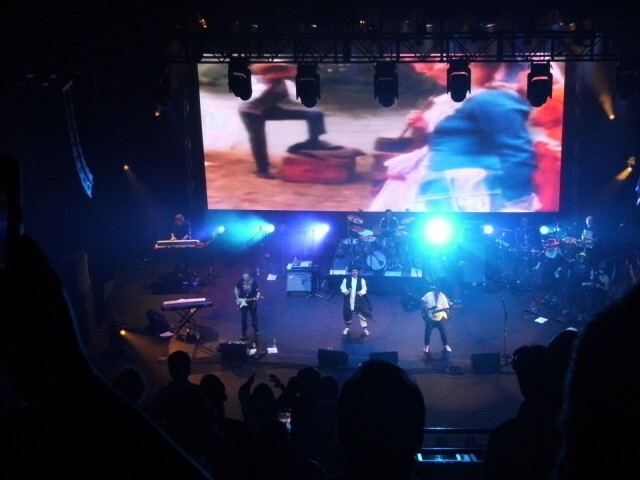 For the second night of its New York tour stop, the nearly two-hour show opened with a montage of archival video clips projected on the big screen documenting Culture Club’s memorable highlights from the ’80s. 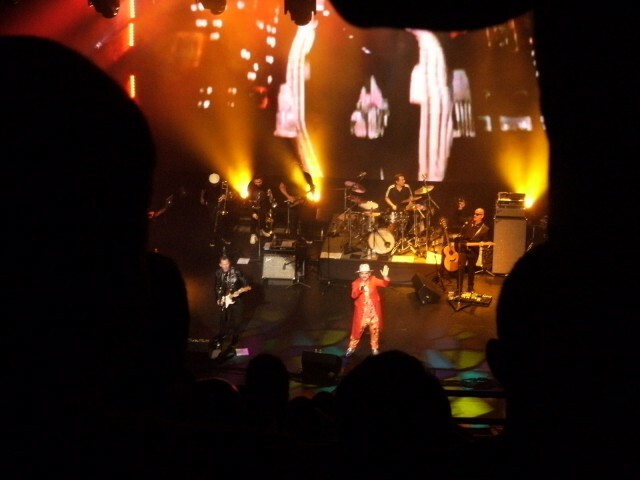 Then the band quickly launched into the soul-stomping “Church of the Poison Mind,” with George emerging with a red coat, silvery shoes, and a glittery sequined hat. The presentation was kind of lavish, with the quartet augmented by a brass section, two percussionists, a trio of female singers, and a keyboardist and guitarist. From my vantage point sitting in the balcony, the audience was rapt in enthusiasm and cheered upon hearing the old hits like “I’ll Tumble 4 Ya,” “It’s a Miracle,” “Miss Me Blind,” and the great “Time (Clock of the Heart).” There were also performances of George’s solo material, including his take on Bread’s “Everything I Own” and the aforementioned “The Crying Game.” Naturally, towards the end of the show, the band performed its two and most memorable biggest hits, “Do You Really Want to Hurt Me” and of course “Karma Chameleon.” Sandwiched in between was a cover of David Bowie’s “Starman,” an obvious tribute to the man who inspired Culture Club and many acts of their generation. 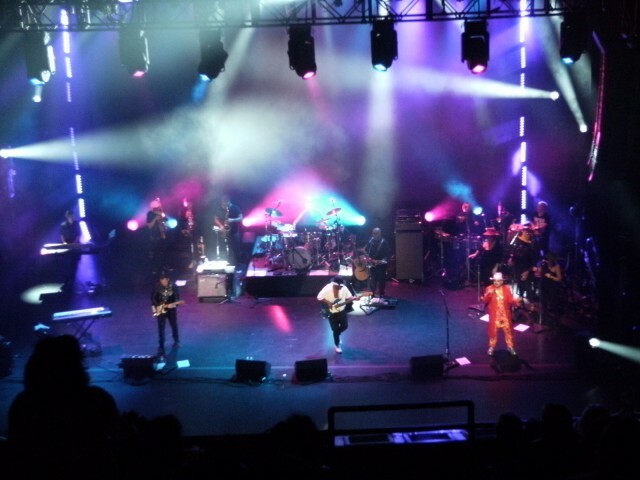 While nostalgia was heavy in the air, the concert was more than a greatest hits roundup as Culture Club performed some new songs from their upcoming album Tribes. And surprisingly, the new material went down really well and sounded quite promising. There was the reggae-ish and romantic “Let Somebody Love You”; the uplifting rocker “More Than Silence,” the funky “Like I Used To”; and the Sly Stone-homage “Different Man.” Perhaps the most surprising of the new songs was “Runaway Train,” which was very country and western—not the current slick Nashville pop sound but rather more in the vein of Johnny Cash and Merle Haggard. Seriously. But it was pretty good. 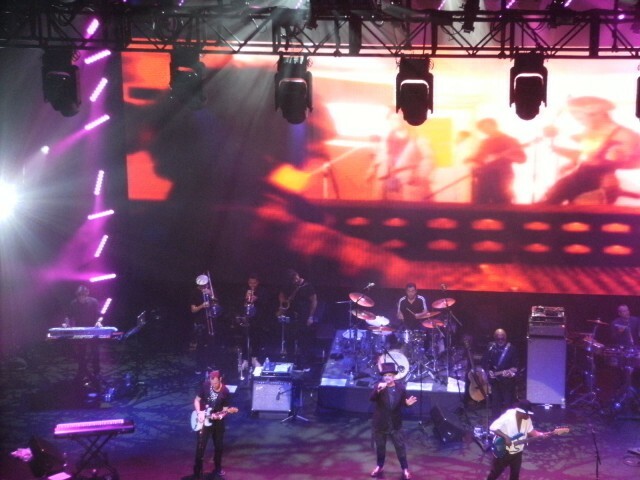 Even after all the years apart, Culture Club sounded pretty good in this live setting. Despite all the hype, glamour and antics that surrounded the band during that heady period in the ’80s, the band really crafted some engaging pop music then, and even now with this new album of theirs. Craig and Moss still made a formidable rhythm team–and Hay really shined with his distinctive lead and rhythm playing on the guitar (especially that rocking solo on “Miss Me Blind”) as well as some elegant keyboard work during the ballad “Black Money.” But obviously the focus of attention was and will always be George, who still had that soulful croon (fortunately he recovered from the vocal ailment that postponed the tour last year), not to mention a flair for wardrobe changes and colorful quips. 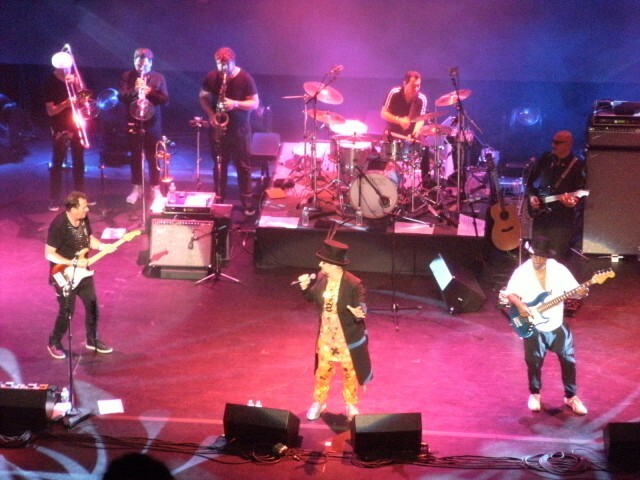 If Culture Club’s performance at the Beacon Tuesday night – along with the very strong audience turnout consisting of a diverse set of older and younger fans – was any indication, the band is more than just an artifact of early ’80s pop culture. With the imminent release of Tribes, perhaps the time is right for the band to perhaps finally get its proper and critical due.